The new i-Series Nexera-i MT method transfer system streamlines the process of migrating from an existing LC system. To ensure that high product quality is maintained, it is important to have high system-to-system reproducibility. The Nexera-i MT offers outstanding reproducibility between various systems that have different system volumes. In quality control fields, the validation process involved in migrating methods from UHPLC to regular analysis normally requires a time-consuming process of reassessing the columns and methods used for each system. 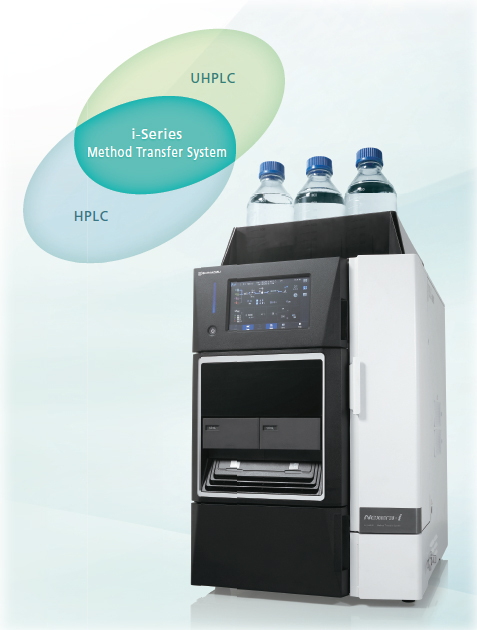 With the Nexera-i MT, however, the process of migrating from UHPLC to HPLC or from HPLC to UHPLC can be accomplished using a single system. The Nexera-i MT is based on the same user-friendly i-Series, but maximizes performance and reliability for migrating and transferring customer methods. Replacing existing analytical instruments with i-Series models dramatically improves the reliability and stability of analytical results as well as ensures a reliable transfer of analytical methods. 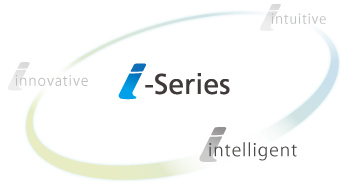 The i-Series reduces the time and trouble involved in reassessing analytical method settings, provides superior system-to system reproducibility, and increases the compatibility of data between laboratories. It also provides an ideal analytical environment that enables method development for better separation or higher-speed analysis. 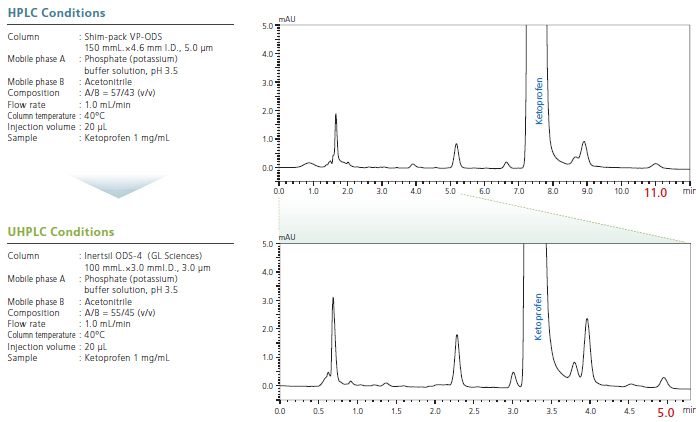 Due the outstanding performance capabilities of the i-Series, such as high baseline stability and ultra-low carryover, it achieves high reproducibility between instruments, even for analytical methods specified in pharmacopoeias. High data stability, reliability, and reproducibility are essential when transferring analytical methods. Due to an optimal system volume, the Nexera-i MT reduces the amount of work involved in transferring analytical methods developed on an existing LC system and provides analytical data with excellent compatibility between instruments. General Chapters <621> Chromatography in the United States Pharmacopeia permits adjustment of the hold time for the initial gradient composition. The Nexera-i MT ACTO (analytical condition transfer and optimization) function enables hold time adjustments, so that methods can be used on different systems with different system volumes, without having to edit time programs. General Chapter <621> Chromatography in the United States Pharmacopeia specifies allowable ranges for changes to analytical parameters, so that revalidation is not necessary as long as the setting values remain within those allowable ranges. Nexera-i MT includes dual flow lines for HPLC and UHPLC analysis. 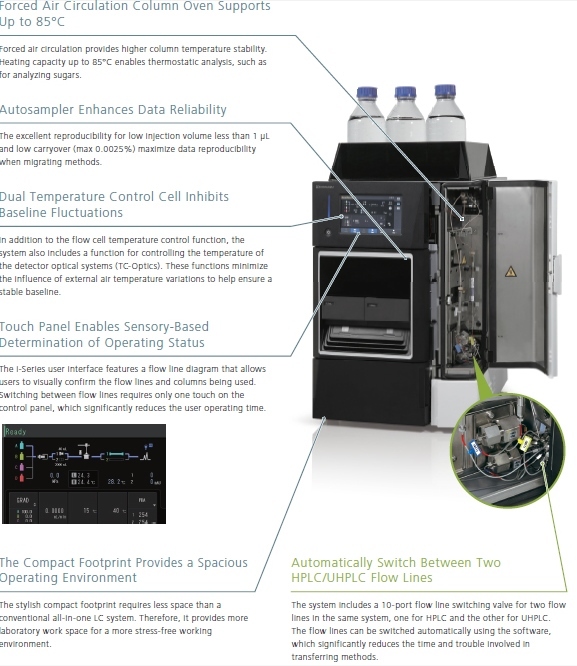 With two system volumes, it can support both existing analytical methods and UHPLC methods. The ACTO function also includes functionality for transferring HPLC methods to UHPLC methods. Just by loading method files prepared on an existing system and entering information about the columns used, the optimized methods will be presented for fast analysis. By selecting one of the flow lines, the function can also transfer methods from UHPLC to HPLC. If instruments with different internal volume are used to analyze a sample using the same column and mobile phase, it generally results in completely different separation patterns, as indicated below, due to differences in gradient onset characteristics. Even if attempts are made to match the internal volumes of the instruments, it is difficult to make them exactly the same. However, new functionality in LabSolutions allows fine adjustments to be made to differences in internal volume. Consequently, the system achieves exceptional analytical reproducibility, even when switching from a system with small volume to one with a large volume or from one with a large volume to one with a small volume.